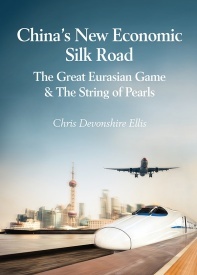 While the Belt & Road has become synonymous with China, fundamentally defining projects China has a vested interest in, the development of the new economic Silk Road overall includes much more than Chinese involvement (which is why this website refers to the Silk Road). While China generates much of the media’s attention, many other multilateral and national funds are also investing in the project. Some have been doing so for years, and may be somewhat perplexed by suddenly being described as “funding a B&R project”. Others have been specifically created to deal with particular regions and trade blocs. In fact, all countries involved in China’s Belt & Road will in one way or another have part of their own sovereign wealth involved, and especially when it comes to supporting their local industries and business interests. Further drilling down is required to establish the nature of such national project finance. Meanwhile, Chinese institutions are being re-targeted at Belt & Road financing and fund raising. The Research Institute of Finance, which is part of the Development Research Center of China’s State Council, has estimated the infrastructure financing needs of countries along the Belt and Road routes (excluding China) to be around US$1.4 trillion from now until 2020. China has also been investing an increasing share of its total outbound direct investment (ODI) into Belt and Road-related projects. By the end of 2015, Moody’s quoted official government data as showing stock of ODI to Belt and Road nations reached US$115.7 billion, 10.5 percent of China’s total ODI stock. In this snapshot, we identify the larger multilateral, bilateral, and national players, provide an overview of how Chinese and other national domestic financial houses are becoming involved, give capitalization and domicile details to all, and provide links to their operations. The World Bank is an international financial institution that provides loans to countries for capital project financing. It includes 189 different countries as shareholders and has two institutions: the International Bank for Reconstruction & Development (IBRD) and the International Development Association (IDA). While much of its work is involved in poverty reduction, as well as work in conjunction with the World Health Organisation, some of its projects are within the B&R geographic area. It works with the AIIB on its development projects. It is dominated by the United States as the largest shareholder; the U.S also holds veto powers. The ADB is a multilateral development bank with 67 national shareholders, funded in 1966. As its name suggests, it focuses on investment in emerging Asia, and has subsequently become involved in projects now termed as the “Belt & Road”. It works closely with the World Bank and Asian Infrastructure Investment Bank on such projects, often jointly funding larger development projects with them. Japan and the United States are the largest shareholders, followed by China and India. The AIIB is a multilateral development bank formed at China’s initiative in 2015, having 56 member states as contributors. China is the largest shareholder followed by India and Russia. It is not exclusively B&R focused although given the large geographic scope of the Belt Road initiative many such projects are supported by the AIIB. To date it has mostly been working with the World Bank and ADB, and has yet to fund projects on its own. The NDB was formed by Brazil, China, India, Russia, and South Africa to facilitate investment between and among the bloc. Much of the project financing has been aimed at green energy investments, and have been split equally among members. The EBRD is a multilateral developmental investment bank, using investment as a tool to build market economies. Initially focused on the Eastern European countries following the collapse of the Soviet Union, it has expanded its reach to support development in more than 30 countries worldwide including Silk Road nations. The EBRD is owned by 65 countries and two EU institutions. The Silk Road Gold Fund is a multilateral investment fund operated by the Shanghai Gold Exchange. It invests in mining and related extraction projects involving precious metals, mainly to secure mining rights and invest in extraction infrastructure. The fund aims to split profits between the sovereign nations concerned, and to build up gold deposits of poorer nations and its investors. The CEEFund is investing in high-tech and green energy companies in Eastern Europe, and is a mechanism to help support innovative industries with participating members funding. Examples are wind farms in Poland, solar power in the Czech Republic, and electric and hybrid auto in Bulgaria. The Fund uses a variety of diversified investment models, such as equity investments, mezzanine debt, or hybrid financial products. A typical investment is between US$10 million to US$70 million. 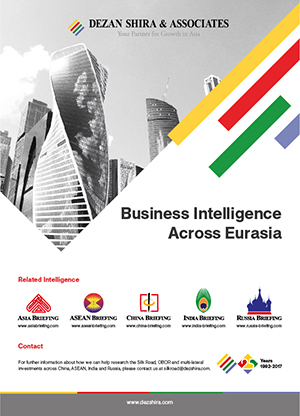 The EDB is a regional development bank established by Russia and Kazakhstan in 2006. The Bank currently has six member states located in both Asia and Europe, including Armenia, Belarus, Kyrgyzstan, and Tajikistan. Projects have largely been focused on infrastructure related to the expansion of trade, the development of market economies, and the expansion of other economic ties in its member states. It tends to mirror the development activities of the Eurasian Economic Union (EAEU), a free trade bloc that is gaining in regional significance as both China, India, and other Eurasian nations are currently negotiating free trade agreements with it. The IFCA is an EU funded initiative targeted at governments in the Central Asian region, and provides priority investments contributing to inclusive and sustainable growth. The Facility aims at leveraging funds with eligible financing institutions for such investment projects. An increasing number of bilateral investment funds are being instigated by China and other nations, especially among those considered of strategic importance to the PRC. Increasingly these are Belt & Road inclusive. The details of some of the largest are below, others are sure to be created in coming years. CIC is a Chinese state owned sovereign wealth and manages part of China’s foreign exchange reserves. CIC allocates around one-third of its US$814 billion to private markets, with an emphasis on developing countries, and increasingly those with Belt Road projects. China Life is 70 percent state owned, and has recently been allowed to invest in foreign real estate. At the end of the first half China Life’s foreign investments rose to US$11.6 billion, or 2.9 percent of its overall portfolio. Increasingly, the funds are being directed to Silk Road projects with an aim to increase foreign investments to 15 percent of the overall portfolio. The mainland’s insurance watchdog, the China Insurance Regulatory Commission has been encouraging other Chinese insurers to invest into B&R projects, and they will get fast-track approval and support from the State Administration of Foreign Exchange (SAFE) to do so. 5.94 percent of the NSSF is earmarked for investments overseas, and the NSSF has recently announced it expects to be contributing to B&R financing and investments as part of its overall strategy. While it is unlikely that the pension fund would directly participate in Belt & Road construction projects, the NSSF could tap on globally renowned private equity funds to invest in lucrative projects along the Belt and Road route that could generate strong returns and stable cash flow. 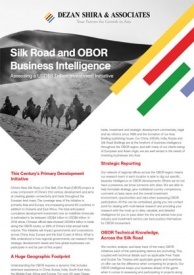 The SRF is a Chinese state owed fund, with more than 100 potential BRI projects to consider, but is still in selection mode dealing with due diligence issues such as political stability of the host country, as well as weak legal frameworks and government inefficiency in certain markets. Some strategic investments have been made in Pakistan and the Russian Far East. 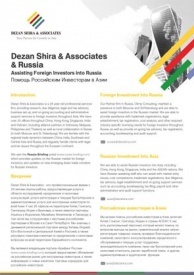 The RDIF was established by the Russian government in 2011 to make equity investments into high-growth sectors of the Russian economy, with a mandate to co-invest alongside large and sophisticated global investors, thus acting as a catalyst for FDI into Russia. Much of this has been into Siberia and the Russian Far East and includes B&R projects in conjunction with Chinese financing. The CDB is often described as the engine that powers the Chinese government’s economic development policies, and is consequently a major driver in B&R, and is the second-biggest bond issuer in China accounting for about a quarter of the country’s yuan bonds, and the biggest foreign-currency lender. It is increasingly targeting B&R financing. China has many state owned banks, basically structured on a national and then provincial level. Of the state owned banks, the big four are increasingly involved in B&R financing as they are tied to China’s largest state owned enterprises, and provide much of the financing to them. It is significant to note that 52 percent of China’s total overseas construction projects came from B&R projects and involved China’s SOE’s. China’s big four banks provided much of the financing. The ICBC is the largest bank in the world by total assets and the most valuable bank in the world by market capitalization. The CCB is the world’s second largest bank by market capitalization and sixth largest company in the world. The ABC has 320 million retail customers, 2.7 million corporate clients, and nearly 24,000 branches. It is China’s third largest lender by assets. ABC went public in 2010, fetching the world’s biggest ever initial public offering (since overtaken by Alibaba). The BoC is the second largest lender in China overall, and the 5th largest bank in the world by market capitalization value. The Exim Bank is targeted to implement Chinese state policy in industry, foreign trade, diplomacy, the economy, and provide policy financial support so as to promote the export of Chinese products and services. Established in 1994, the bank is subordinated to the State Council. Given its role it is a major player in B&R financing. Exim does not publish figures for overseas loans. However, U.S. officials estimate that it finances more than the total export financing of the G7 industrialized nations combined. The Financial Times has estimated that in 2009 and 2010, China Eximbank and the China development Bank together signed loans of at least US$110 billion to other developing country governments and companies, more than the World Bank over the same period. 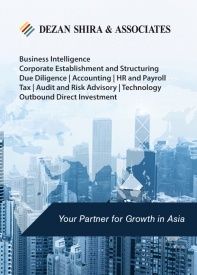 Sinosure is a major Chinese (SOE) under the administration of the State-owned Assets Supervision and Administration Commission of the State Council (SASAC) of China, serving as the provider of export credit insurance, in particular coverage for the export of high-value added goods in China. These are numerous, and will often get involved in smaller projects or ones that are considered “too sensitive” to be handled by the major Chinese banks. There have been occasions where such banks have been used to assist to construct deals that obscure the nature of overseas financial transactions. Just because a bank can claim to be “state owned” doesn’t exempt it from being exposed to issues such as a lack of transparency or dubious political influence. The list above is not comprehensive; however, it provides a snapshot of the overall institutional effort that China is placing upon Belt & Road development. The amount of money China is directed to the efforts to secure the benefits of B&R – which include the sustainable procurement of energy, agricultural and water supplies, in addition to consumer goods, is staggering. It is also important to note the symbiotic relationship between the banks concerned and Chinese SOE’s, although the main driver of the B&R initiative is not to keep China’s SOE construction companies busy. Other key points to note are the development of joint bilateral funds, and the trend of Economic and Free Trade Areas providing their own funding – something for example, that other institutions such as ASEAN and the Commonwealth of Nations do not provide. 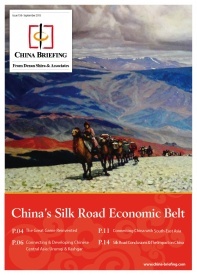 It is also of interest to note that for China, Moody’s has just issued China’s “Belt & Road initiative” with an “overall credit positive” ranking, despite the obvious fact that the initiative is made up of hundreds of component parts, and one cannot buy stock in the “Belt & Road Initiative” rendering the ranking somewhat of a footnote. Evaluating risk along the Belt & Road is going to require a deep understanding of who the financial institutions involved are, their overall political capabilities and profile, as well as the specific recipient country profile.